When we first met John Wick (Keanu Reeves), he went on a bloody killing spree in the wake of losing the love of his life (Bridget Moynahan). And at the end of that revenge-fueled splatterfest we saw the wounded assassin walk off into the sunset with a puppy he just rescued from the dog pound. Picking up soon after the events of the original, Chapter 2 opens with Wick retiring after retrieving his stolen Mustang from a Russian gang. But before he has a chance to settle into a rocking chair, he's recruited by Santonio D'Antonio (Riccardo Scamarcio) to perform one last hit. The ambitious mobster wants his sister Gianna (Claudia Gerini) knocked off so that he can assume the reins of the powerful Mafia family left to her by their late father. Wick grudgingly agrees to kill her only because Santonio is holding his marker, a blood oath ironically taken in order to leave behind his grisly line of work. So, he proceeds to Rome where he tracks down Gianna who quickly commits suicide once she realizes the reason for his visit. 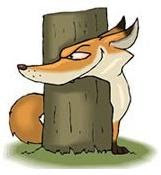 Nevertheless, her death doesn't sit well with her horde of henchman, especially her personal bodyguard, Cassian (Common). Next thing you know, Wick needs to waste wave after wave of minions while on the run through the catacombs. After a miraculous escape, things are no better back in America where the senseless slaughter simply continues. That is the sum and substance of John Wick: Chapter 2, an unapologetic indulgence in blood lust. This high-body count affair is right in Keanu Reeves' wheelhouse, as he seems to excel when called upon to dispatch dozens, if not hundreds, of adversaries in a variety of creative ways, without ever having to exhibit much of an acting range. The picture reunites Reeves with Laurence Fishburne, his co-star in The Matrix trilogy. Laurence only enjoys a minor role here, however, in favor of Common, a standout who proves to be the protagonist's worthy adversary in a protracted hand-to-hand showdown. A twisted Wick continues to burn bright! 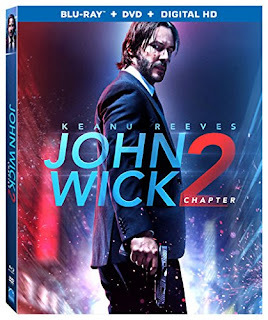 Blu-ray/DVD Combo Pack Extras: Deleted scenes; Retro Wick; Training John Wick; WICK-fizzed; Friends, Confidantes: The Keanu/Chad Partnership;As Above, So Below: The Underworld of John Wick; Car Fu Ride-Along; Chamber Deck: Evolution of a Fight Scene; Wick's Toolbox; Kill Count;"Dog Wick" short; and an audio commentary with Keanu Reeves and director Chad Stahelski.